The outline of the tax proposal released by President Trump and Republican House and Senate leaders should worry all Pennsylvanians for multiple reasons. It appears that the Pennsylvania Senate is about to vote to not concur with the recently-passed House bill to fund this year’s budget. 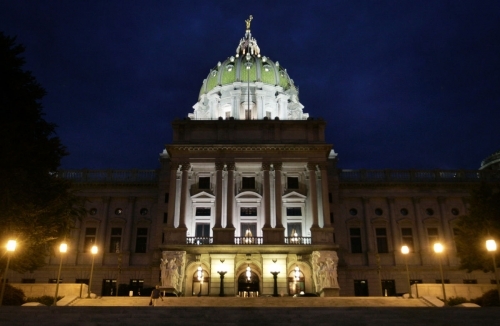 That will set the stage for what will certainly be intense negotiations among the four legislative caucuses and Governor Wolf about a compromise bill. We hope these negotiations will be completed quickly, as the state is already delaying payments to the pension funds and Medicaid managed care organizations and the state is getting very close to a credit down grade that will cost hundreds of millions over the next few years. 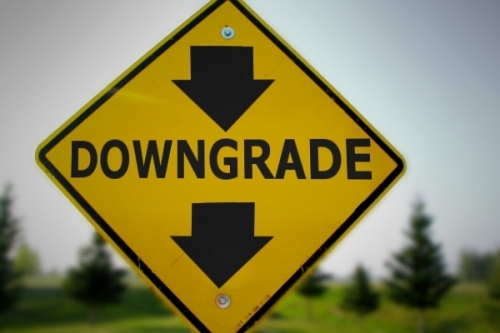 The decision by Standard & Poor’s to downgrade Pennsylvania’s credit rating should come as no surprise. There was ample warning by S&P and other credit agencies, as well as by political observers including us at PBPC, that this would be the result of the continuing failure of Republicans in the General Assembly, and especially Speaker Turzai and his followers in the House, to raise sufficient recurring revenues to close state’s long-term structural deficit. "After a long debate that was mainly remarkable for the failure of House Republicans to adequately explain or defend their proposal to transfer $600 million from special funds into the General Fund, the Pennsylvania House of Representative enacted a revenue plan that, (1) includes zero recurring revenues, which means that the next fiscal year will begin with a deficit of over $1 billion, (2) is fundamentally unbalanced in that it includes many proposals that are unlikely to raise the revenues expected, including proposals that have been included in previous budgets but have never gone into effect, and (3) is a stealth cut in government spending on critical programs in public transportation, public safety, environmental protection and agriculture, small business, economic development, and other areas that are supported by the special funds the House has raided. 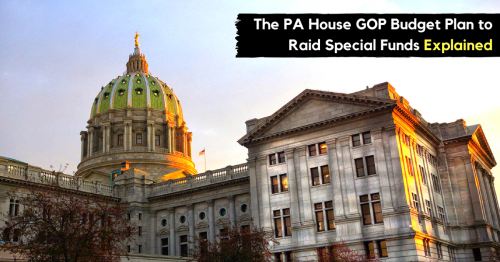 The Pennsylvania House Republican plan to balance the budget by, among other things, raiding other state funds is something of a moving target. A new amendment Representative Moul (A03286) to House Bill 593 is the legislative vehicle in which elements of the plan will move to the floor of the House as early as today. 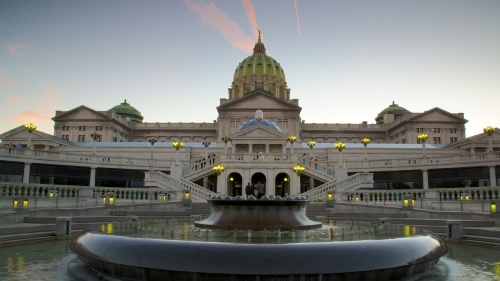 As legislators return to Harrisburg after a far too long vacation, it’s time to take stock of the state of the unfinished budget. In early July, the General Assembly enacted a budget that took many step forwards. It provided new funding for child care and pre-K education, for K-12 education, for the Pennsylvania System of Higher Education; for those who are intellectually disabled and face long waiting lists to get services; and for those for those who suffer from opioid addiction and mental illness. Some bodice-ripping prose from the State of Working Pennsylvania you may have missed! Ok, a bodice-ripping romance novel is not how anyone would describe the State of Working Pennsylvania, but now that we have your attention hopefully you will continue reading about four key decision points facing Pennsylvania policymakers considering changing Pennsylvania’s Minimum Wage Act: subminimum wages, local preemption, indexing, and wage theft. For the last few weeks, we have been told a Republican plan to balance the budget was coming, one that would, almost miraculously, come up with more than $2 billion without raising taxes or cutting any public programs simply by transferring “surplus funds” that were “not doing anything” into the General Fund. We knew and said that this plan was, at best, a one year fix that would not do anything to reduce the long term structural deficit in the state budget. And in the same piece we strongly suspected that it was based on some false assumptions about why there are numerous state special funds and why, at certain points of the year, they run a surplus. 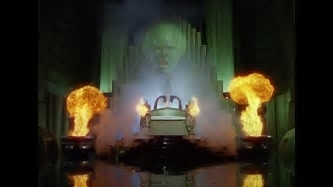 But we were not prepared for what we heard today when the program was revealed and the whole effort was shown to be a sham of Wizard of Oz proportions. 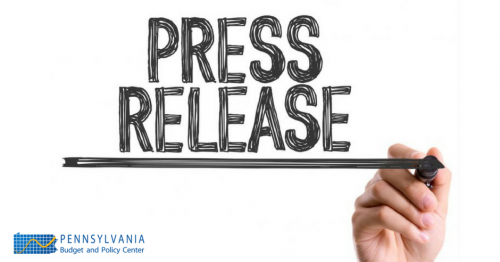 On Thursday we released the 22nd edition of the State of Working Pennsylvania in which we review the current state of the economy with an eye towards changes in the standard of living for working families in the commonwealth. 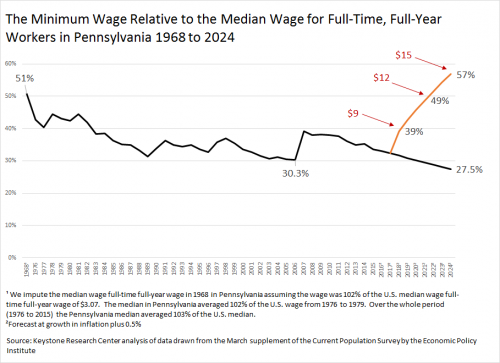 One of the new pieces of information we present in this year’s report, with the help of the crack staff at the Economic Policy Institute, is the median wage for full-time full-year workers in Pennsylvania since 1968.